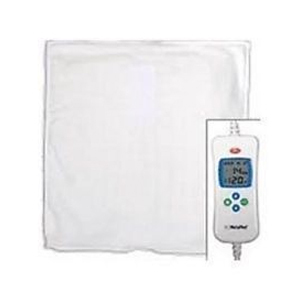 Thermal Core Packs deliver moist heat to relax sore muscles prior to professional treatment. Available in multiple sizes, they can be used on the back, neck, and extremities to help relieve pain from arthritis, sprains and strains, muscle soreness, and headaches. Each product features convenient color coded tabs to ensure that fully heated packs are available at any time. Thermal Core packs should be heated in 160 F (71 C) water for 20 minutes prior to application. To ensure maximum effectiveness and patient safety, Thermal Core Packs should be placed in a protective cover before use. 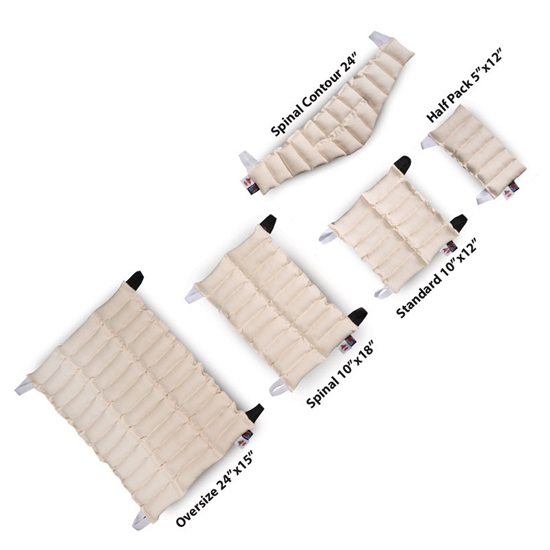 Our thermal covers are available in terry cloth or foam lined version, allowing professionals to vary the heat intensity by adding or removing layers of insulation. Made from terry knit weave. Velcro® fasteners prevent unwrapping or slipping. Washable and reusable. 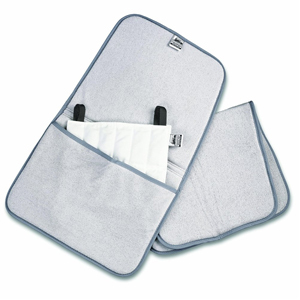 Made of stainless steel, this rack provides a convenient place to dry or store towels, terry covers or slings. Six hooks extend 15″ from the wall. Rack size: 2″ x 33″. 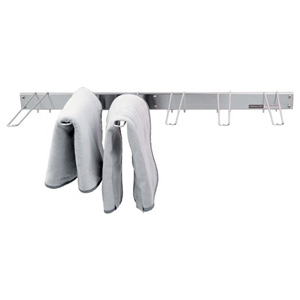 Item #4016 – Hydrocollator Cover Drying Rack Polished Stainless Steel; Hooks extend 12″ from wall. Item #2302 Model SS-2 Size: 33″H x 20 3/4″L x 15 1/2″W Includes 8 Standard Size HotPacs. Mobile. Item #2402 Model M-2 Size: 33″H x 26 3/4″L x 15 1/2″W Extra-large tank. Includes 12 Standard HotPacs. Mobile. Item #2502 Model M-4 Size: 33″H x 35″L x 20″W Extra-large tank with oversized drain. Includes 24 Standard HotPacs. Mobile. 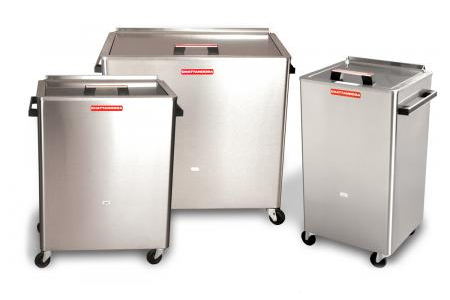 Item #2202 Model SS-1Size: 17 1/2″H x 17 1/2″L x 15 1/2″W Includes 8 Standard Size HotPacs. Stationary. Item #2802 Model E-2 Size: 16.5″H x 14″L x 12″W Includes 2 Oversize, 1 Neck Contour, and 3 Standard HotPacs. Stationary. 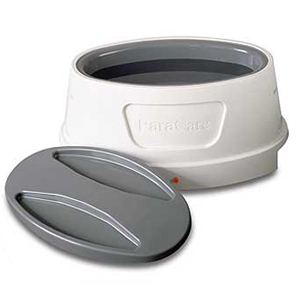 Item #2102 Model E-1 Size: 15″H x 12 1/2″L x 8″W Fits on table top or stand. Includes 4 Standard HotPacs. Stationary. Item #4010 Side Table Rack Available to fit the M-4, M-2, SS-2, C-2, C5, and C-6. Low profile design allows easy access for hands and feet. For home or clinical use. Elliptical design with rounded edges for patient comfort. Holds up to six pounds of paraffin wax. Low-wattage heater maintains optimal therapeutic range. Two-year warranty. Item #20590 – Paraffin Wax (Unscented) – 6 lbs. Item #20535 – Paraffin Wax (Wintermint) – 6 lbs. Citrus scented cleaner removes dried-on and built-up paraffin from paraffin unit.